Pair a lemon with a car and you get something unpleasant. 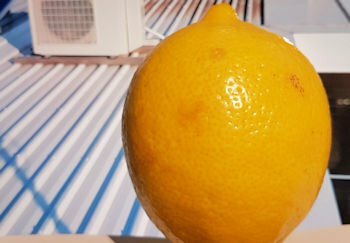 As a roofer, lemon roofs are just as foul and I just see too many of these shocking roofs being installed for unsuspecting homeowners. Most days, I shake my head when I climb on a roof in Sydney. The faults on the roof are so blatantly obvious that it makes my job of finding where the roof leak is coming from so un-challenging. Just as chefs should eat their own culinary creations, I think roofers should live under the roofs that they put up when Sydney gets those long bouts of stormy days. When I stuff up and I don’t know about it – I keep thinking that I am a genius. The times that I have had to take responsibility for my errors have been the greatest learning opportunities. Some roofs are easy and some are just plan challenging. It is hard to go wrong on a factory roof in the outer western suburbs of Sydney. Long straight sheets. Regular rectangular shapes. Easy crane access. Easy parking. Simple edge flashings. Switch to an Inner west roof in the Erskineville and Newtown areas, and the degree of difficulty ramps up. Add in skylights, flat skinny roofs, chimneys, parapets and parking inspectors…. And mistakes plus shortcuts will eventually lead to roof leaks and premature roof lifespan. For a better perspective on Inner west roofs, I have a special post on that subject. We hardly get to fix any factory roofs. But we get to fix a lot of residential roof leaks closer in to the city. It is the small roofs that have the highest failure rates. This is my best advice for anyone contemplating the modern look of a low pitched roof. The corrugated roof profile is not designed to be laid ‘flat’. 5 degrees is usually the manufacturer’s recommended minimum slope for corrugated roofs. Personally, I think 8 degrees should be a better limit to set. I have seen way too many leaking corrugated roofs. Then people like cutting large holes on flat roofs and installing skylights. There are two things to think carefully about with these skylights. 5 degrees is usually the manufacturer’s recommended minimum slope for corrugated roofs. See what happens if you don’t follow this pitch recommendation on a separate post. Choose the right skylight. Not all skylights can be installed on flat roofs. Design the flashings correctly. ALWAYS design and install a tray flashing . See my leaking skylight page for tray flashing details. Even small holes for vent pipes and exhausts can benefit from a tray flashing – especially if the hole is cut where two roof sheets lap together. What is the best roof sheet profile? I still prefer the ‘Kliplok’ profile for all flat roofs. The higher and stiffer ribs combined with ‘no screws’ cuts down on a lot of potential leakage paths. Can Lemon roofs be repaired? I have a friend who is quite patriotic and he used to support the local Holdens. He bought a Calais (remember the premium Holden Commodore?). After the sixth warranty repair in the first 6 months, he gave up on Holden. He sold the car and bought a Mazda. He keeps saying to this day that If Holden had just accepted the problems with the lemon car and gave him another one that worked – he would have stuck with the local manufacturer. It is pretty much the same with a roof if there are some major design/installation problems. You can keep repairing the faults but these tend to be short term fixes. Usually it is better to just ‘bite the bullet’ and rip the offending roof off and replace it with a proper one. It does not matter if the roof is just 6 months old. There will always be exceptions. A good roofer will be able to assess the merits of a roof repair vs a roof replacement and make you a recommendation. The future for roofs in Sydney? More apartments are going up than houses. A lot of home owners will have strata managers looking at any roof problems. Small building envelopes and height restrictions means that architects are designing low pitched roofs (and making it look good). Both situations means that it will become more difficult to repair or replace problem roofs. The most common reason a homeowner wants a roof repair is when there is a leak happening. Sometimes, homeowners are more pro-active and want their roof repaired just in case there is a future problem brewing. But this is the minority. So, how do we approach our leaking roof repairs? A guaranteed repair to a leaking roof – what are the challenges? You will lose money and go broke! What if you don’t know where the leak is coming from? What if you don’t know how to fix the roof leak? How long do you guarantee the roof leak repair for? What if the homeowner does not pay up? What if everything goes wrong? Little expertise and little capital. The risk of losing money on a roof repair job was quite substantial. A few losing jobs and I could be going broke! So I understand the situation of many roof repairers starting off a business repairing leaking roofs. They are reluctant to offer any sort of firm roof repair guarantee that would jeopardise their livelihood. There is nothing like experience to hammer in life’s realities. After tens of thousands of successful leaking roof repairs under our belts, I can confirm that sometimes we lose money on a job. But losing money on a few roof repair jobs and going broke are two quite independent outcomes. Sometimes, we underestimate the work involved in fixing a roof leak. And we pay for it. …But we learn from those jobs and these experiences eventually pay us back big time! Why is the roof leaking? Picture this roof that was leaking……. Skylights and flat metal roofs tangled up with a slate roof. If this was not enough of a challenge, there were multiple leaks. And to top it all off, a roofer had tried many times before to fix the leaks – unsuccessfully. There were at least 5 different reasons for the leaks that we could make out. The home owner was close to giving up. He was contemplating new replacement roofs. This was going to be one big challenge. My guys fixed up all our ‘known’ reasons why the roof was leaking. And they waited for the next big rain. “… still a couple of small leaks coming through” was the response. Back again they went. More brain power to figure out where the ‘unlikely’ sources may be. Then we had the long dry period. “…still leaking” was the response. Back we went. Then heavy rain and hail. Then came the above confirmation of a dry home…. At last! We can always figure out where a leak is coming from. It just takes a few times if there are multiple sources contributing to one observed leak. How do we fix a roof leak? With a multitude of roof repair options at our disposal, we know how to fix any roof leak…. But only once we have figured out where the source of the leak is. The HOW? was once a problem. It is now totally replaced by the WHY? … Just as we would not open up a roof that is obviously a ‘can of worms”. But the problem is that our perception has moved to a point where we think we can fix ANY roof leaks. 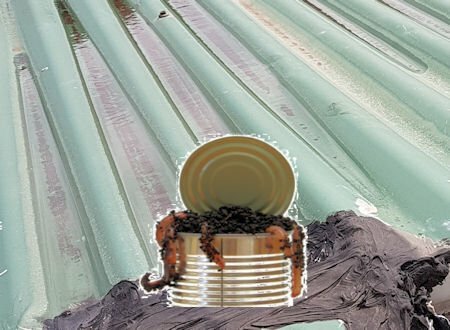 So, we often open up roofs that are ‘cans of worms” . Somehow, my roofers always manage to contain things and very little of the worms have escaped! Roof still leaking after repair – how long is the warranty? My roofers ‘crack up’ when they hear of roofers giving roof repair warranties that are measured in months. This is because my roofers measure their roof repair work in years. 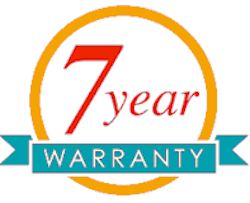 So, we simply offer a 7 year warranty. We have been around for decades –so there is a likely chance that we will be around for another 7 years. Even though the typical marriage struggles to get past the ‘7-year itch’! What else can go wrong with a roof repair? But we have found over the years that if we keep moving forward, there are lots of people who like what we do and support us well along the way. How to trace a leak at a Kliplok metal roof flashing.